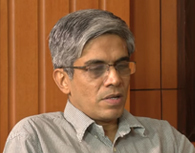 IIT Madras alum and co-Founder of Infosys, Kris Gopalakrishnan, has set up 3 Chairs in computational brain research at IIT Madras with an Endowment of Rs.10 crores each. The three Chairs are being created in IITM to focus on computing aspects–architecture & model of the brain– including the memory/ processor relationship and neuromorphic computing. The first Chair was endowed in December 2014 as the “Prof. Mahabala Chair in Computational Brain Research” and has since been occupied by Dr. Partha Mitra (Cold Spring Harbor Lab, New York, USA). The 2nd Chair has recently been endowed in the name of Shri NR Narayana Murthy (co-Founder, Infosys), and will be launched at noon on Saturday, April 18 at IIT Madras in DoMS Auditorium. 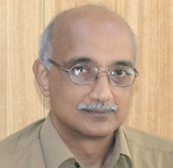 The occupant identified for the “NR Narayana Murthy Distinguished Chair in Computational Brain Research” is among the most eminent in the field—Prof. Mriganka Sur, MIT, Cambridge, USA. Dr. Sur is the Paul E. and Lilah Newton Professor of Neuroscience and Director of the Simons Center for the Social Brain at MIT, which he founded after 15 years as head of the MIT Department of Brain and Cognitive Sciences. Dr. Sur studies the organization, development and plasticity of the cerebral cortex of the brain using experimental and theoretical approaches. He has discovered fundamental principles by which networks of the cerebral cortex are wired during development and change dynamically during learning. His laboratory has identified gene networks underlying cortical plasticity, and pioneered high resolution imaging methods to study cells, synapses and circuits of the intact brain. Recently, his group has demonstrated novel mechanisms underlying disorders of brain development, and proposed innovative strategies for treating such disorders. Dr. Sur received the B. Tech. degree in Electrical Engineering from the Indian Institute of Technology, Kanpur, and the PhD degree in Electrical Engineering from Vanderbilt University, Nashville. He has received numerous awards and honors, including the Charles Judson Herrick Award of the American Association of Anatomists, the A.P. Sloan Fellowship, the McKnight Development Award, the Hans-Lukas Teuber Scholar Award, the Distinguished Alumnus Award of the Indian Institute of Technology, Kanpur, the Sigma Xi Lectureship, and the Foundation Day Medal of the National Brain Research Center, India. At MIT, he has received awards for outstanding teaching and been recognized with the Sherman Fairchild and Newton Chairs. He is an elected Fellow of the Royal Society of the UK, the Institute of Medicine of the National Academies, the American Academy of Arts and Sciences, the American Association for the Advancement of Science, the Neuroscience Research Program, the National Academy of Sciences, India, the Rodin Academy, Sweden, and the Third World Academy of Sciences.